Mace Night Defender includes a bright LED light that illuminates the perpetrator so you can spray the fiery gel and stop them in their tracks. Light and gel activate the second you put your thumb on the fire button. Spray sticks like glue and includes a UV dye for identification purposes. 18-foot range. Contains enough gel for 7 one-second bursts. Measures 5 inches high.Made in the USA. 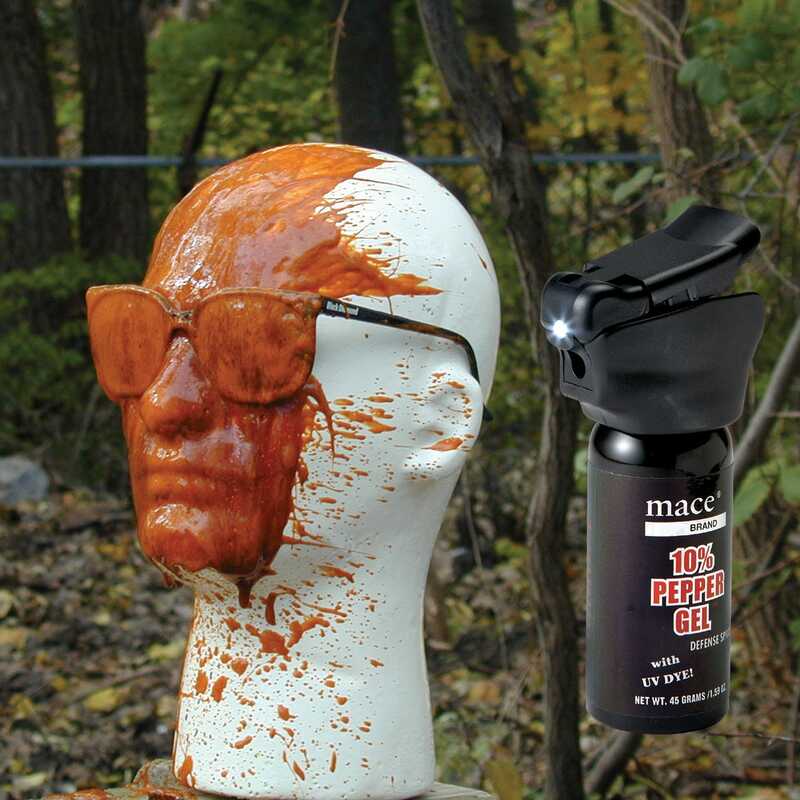 Mace Night Defender includes a bright LED light that illuminates the perpetrator so you can spray the fiery gel and stop them in their tracks. Light and gel activate the second you put your thumb on the fire button. Spray sticks like glue and includes a UV dye for identification purposes. 18-foot range. Contains enough gel for 7 one-second bursts. Measures 5 inches high.